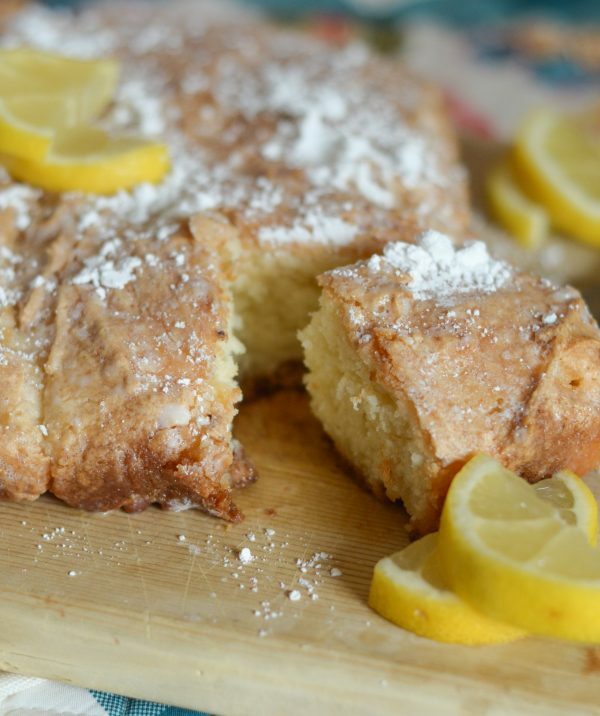 As we enjoy the spring and summer season this Vanilla Lemon Bread! This Vanilla Lemon Bread is a delicious bread that is perfect to welcome spring, it’s a quick bread too. Of course, it’s technically spring, but we are officially on SUMMER BREAK! So, it’s summer around here. I don’t know about you, but in the summer months, I sit back and enjoy the slowdown. I love being able to sleep in again and just take our mornings slow, do you? 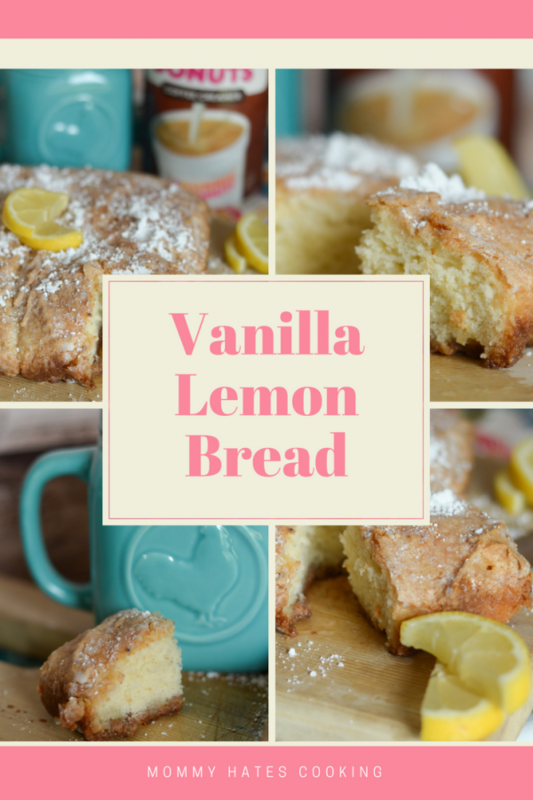 I’m sure many of you still have to get going early in the morning, but on your days off, enjoying a slice of this Vanilla Lemon Bread and a cup of coffee with is the perfect way to start the day. How do you make Vanilla Lemon Bread? 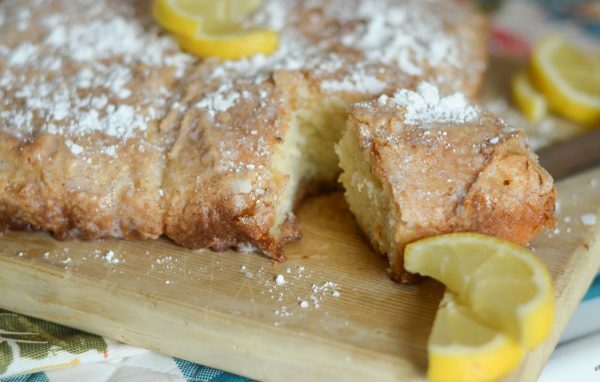 This past week, I made a batch of this Vanilla Lemon Bread and it didn’t last long at all. My husband and son devoured it, I think I got one piece! I decided to adapt this recipe and include Vanilla Creamer in place of the milk, plus top it with a glaze that also used the creamer. It was a delicious combination and a sweet summer treat. I also added a layer of pecans on the bottom to give it a caramelized pecan crust. It just melts in your mouth with a cup of coffee in the morning or afternoon. 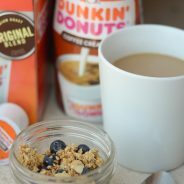 My favorite creamer is the vanilla flavor because it has that balance of rich and creamy. 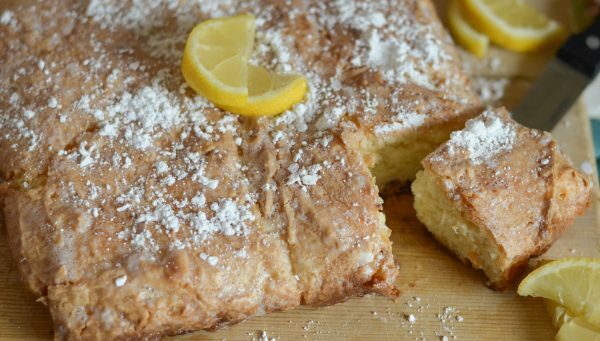 I add a little to my coffee in the mornings, but it’s also good to use as a replacement for milk in many recipes including this Vanilla Lemon Bread. Now, my favorite part of summer is sitting on the back porch and enjoying a cup of coffee with a treat. That typically happens in the mornings around our home. Of course, by about the middle of June, my coffee becomes iced coffee because it’s so HOT in Oklahoma. Right now though, I’m still enjoying a warm cup of coffee. Now, are you ready for a bite? 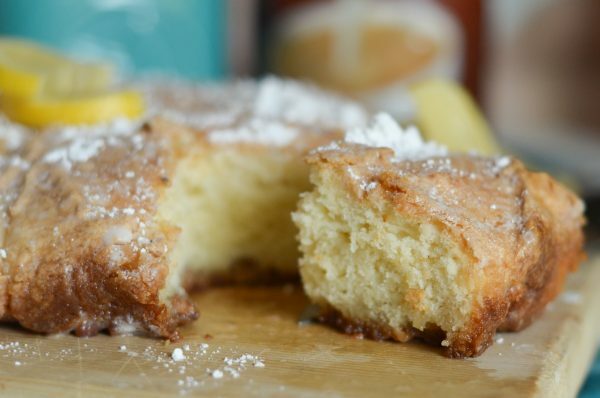 It’s time to try a taste of this Vanilla Lemon Bread, plus stop in Walmart to pick up your Dunkin’ Donuts® Creamer. Make a delicious Vanilla Lemon Bread! Spray an 8x8 pan with non-stick baking spray or foil line the pan. Evenly place pecans on the bottom of the pan. Combine the remaining bread ingredients in order in a mixing bowl, mix well. Carefully spread the batter on top of the pecans. At this point, it will be a thick batter, so you may need to spread with your hands. Bake in the oven for 45 minutes at 350* or until done. Once it's done, remove from the oven. Whisk together the glaze ingredients then pour over the bread and let cool for 5-10 minutes. 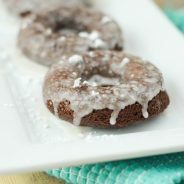 Cut and serve topped with additional powdered sugar. I think it’s awesome that we can use creamers for baking aside from making our coffee taste great! This is definitely something that I would make, it’s perfect for a lazy afternoon with your favorite cup of coffee. Mmmm yes please! 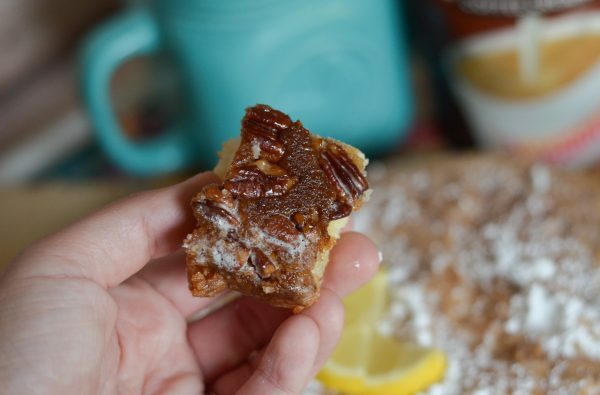 What a sweet treat to pair with a coffee too! Looks delicious. Vanilla Lemon Bread sounds oh so tasty to me. I didn’t know DD made creamers. I will look for them. I love their new iced coffee in a bottle. Thanks for the recipe. That vanilla lemon bread looks really tasty and it would be the perfect pair to my afternoon cup of coffee or tea. 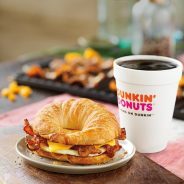 I have to get those Dunkin Donuts vanilla creamer too.